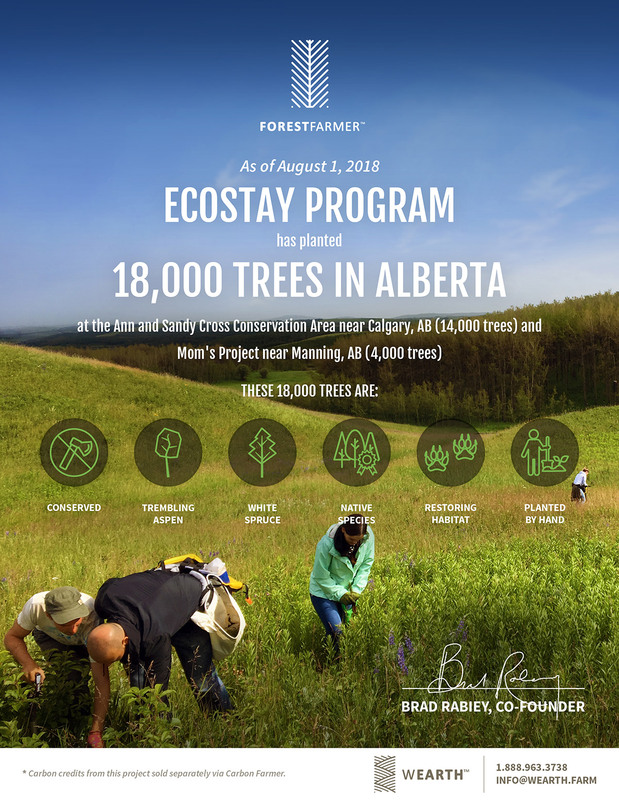 The EcoStay Forestry Initiative is a collaborative project of forestry preservation, providing carbon sequestration, wildlife habitat, education and cultural heritage. The project aims to protect existing native woodland forests for generations to come. Recognized as a leading solution in the fight against rising CO2 levels worldwide, forests trap carbon dioxide in their bark, wood and roots. EcoStay’s Forestry Preservation Initiative promises to unite millions of travelers from around the globe. Guest staying at participating hotels can be recognized personally as they join other in leaving a legacy of nature and beauty for generations to come. Plant your tree now! ©2019 LivClean Corp. All Rights Reserved. ™EcoStay Certified is a trademark of LivClean Corp.